Yoichi was first founded by Nikka’s Masataka Taketsuru in 1934. He decided upon the location of the distillery in Hokkaido, Japan’s most northerly island, as it was reminiscent of the Highlands and Islands of Scotland. He stated he wished to create “kaze no aji no whisky” – a whisky with a taste of the wind. Indeed, this whisky has something of the peated Highland or Island scotch style, with a peaty fruitiness and maritime quality. The distillery is distinctive with four directed coal fired stills. 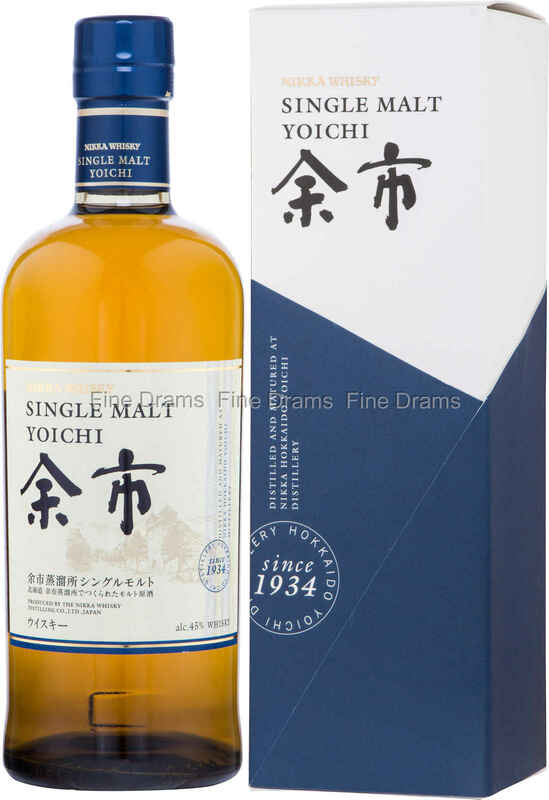 Yoichi Single Malt has a full body, with a supple tobacco peat flavour and floral notes, accompanied by some spice, oily nuts and sugared fruits highlights. Bottled at 45% ABV, this kick in ABV really ensures that the flavours express themselves fully. A marvellous flagship bottling from this superb Japanese distillery, displaying perfect balance and a wide range of flavours. In a final flourish, this whisky is presented in a harmonious and smart Japanese style.